The 17th Annual Historic Houses Conference will take place at Maynooth University, Castletown House and the National Gallery of Ireland on 13-15th May 2019. 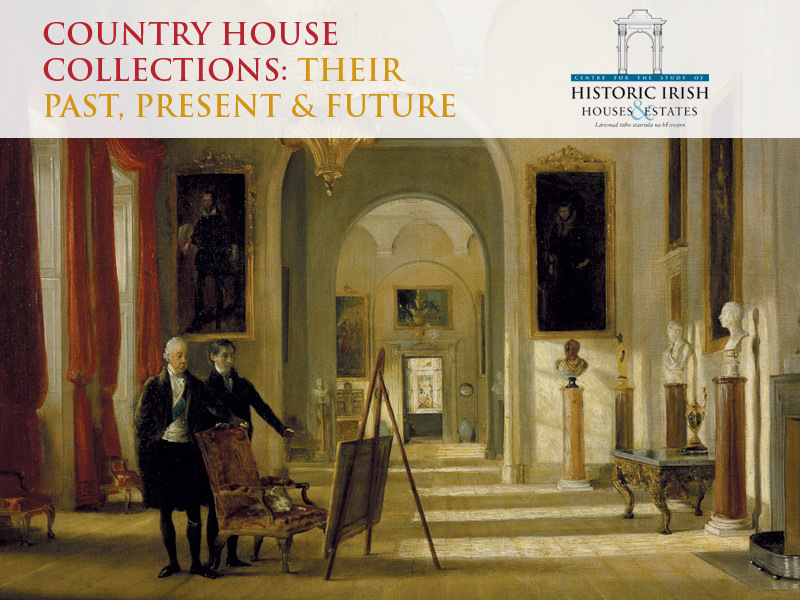 The theme of event will be ‘Country House Collections: Their Past, Present & Future’. The conference will look at how and why collections were amassed, examine their break up, and consider the afterlife of objects as they moved into the art market, the museum world, or elsewhere. How does the identity of a house change if its contents have been removed? What were the reasons for such dispersal, were these actions chosen or enforced? What happens to a collection once it has begun to be dismembered, and how are objects viewed and understood in new locations by different audiences? The conference will also discuss the role of art in country houses today, and conclude with a forum debating the future of such collections.